Due to the winter weather the Salon will be closed Wednesday, FEBRUARY 20th. We apologize for any inconvenience. 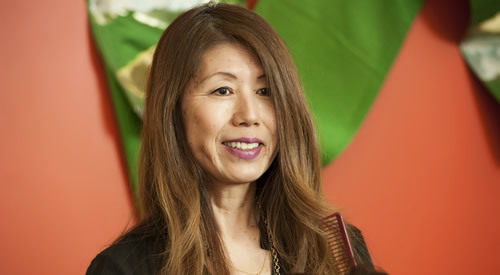 A Georgetown salon with a distinctive Japanese style. Ozuki Salon is pleased to be able to offer a special student price of $10 off all haircuts with Shu Yamashita during the weekdays of Tuesday-Thursday. Ozuki Salon offers conservative, precise haircuts, as well as more innovative contemporary cuts, two style directions that are as prevalent in Tokyo as they are in Washington, D.C. At Ozuki Salon you have the choice of discussing your haircut, color, or treatment in Japanese, Mandarin Chinese or English. Most of the staff is bilingual and specialize in Asian hair. Whichever service you receive in the peaceful, relaxed ambiance of Ozuki’s Georgetown salon, you are certain to come away feeling refreshed and with great looking hair. Chemical prices do not include a Haircut or a Blow dry. from $55 Advanced Hydration is a treatment for dry, weak or moderately damaged hair. The deep-conditioning treatment commits beyond the initial feel by leaving tresses silky smooth for well over a month. Advanced Hydration treatment leaves hair feeling instantly silky, smooth, shiny and strong. from $60 Noiraudepro Keratin Repair is a powerful revitalizing Keratin treatment formulated in Japan for damaged, dehydrated and lifeless hair. This restorative hair treatment will help hair to retain moisture, becoming more manageable and easier to style. Your hair will feel silky smooth adding shine and body. from $55 Moisture Color Lock brings natural health to color treated hair, creating incredible shine and radiant long lasting color. Repair your hair from the inside out and notice immediate effects with Inphenom. A 5-step in-salon treatment done immediately after coloring helps to lock in your vibrant color. from $60 Beautiful hair begins at the roots. Healthy Scalp is a luxurious in-salon treatment that uses specialized massage techniques and is specifically formulated to cleanse, moisturize and nourish the scalp to combat aging and alleviate problems such as itchiness, redness and dandruff. Healthy Scalp creates the perfect environment for hair growth.Healthy scalp equals healthy hair. The Ozuki hair salon in Georgetown, like some of the best addresses in Tokyo, is tucked away on a small side street but is definitely worth a detour from the city’s busier thoroughfares. This gem of a hair salon, Washington, D.C.’s premiere Japanese salon, specializes in Asian hair but provides excellent haircuts, color and treatments for everyone that appreciates attention to detail and superb customer service. Ozuki brings to Washington the high standards of courtesy and “cutting edge” style that have made Tokyo Salons famous the world over. Iku Kawashita– A master at precision cuts, Iku’s haircuts grow out beautifully, earning rave reviews weeks after your appointment. He definitely understands the art of the curl. Beginning his career in Kyoto, Iku is now famous in DC for his “God-given” natural looking highlights and rich vibrant color. Keiko– Keiko is an exceptionally gifted and soulful stylist who is devoted to making people love their hair. Her true talent is revealed when she is with her clients listening to their needs, understanding their style and then creating masterful, versatile cuts, curls and color that can be edgy, natural, or polished. 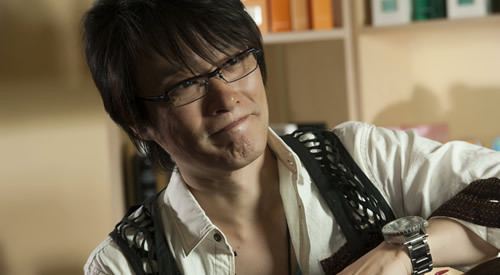 Shigemi Matsumoto– In Shigemi’s chair you will find a peaceful focused stylist with a touch of edge. Equally at ease with long flowing layers and sassy pixie cuts. She also has a fiercely loyal male clientele, who rely on Shigemi to get keep them looking sharp from office to street. 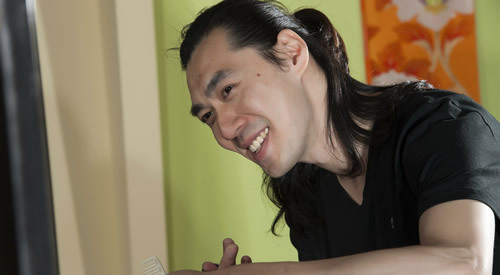 Tony Peng– When it comes to styling hair Tony is a genuine artist. With extraordinary consideration, you will feel his complete dedication when he creates a masterpiece that is perfect for you and your lifestyle. A native of Taiwan, Tony is equally at ease discussing your hair in Mandarin Chinese or English. 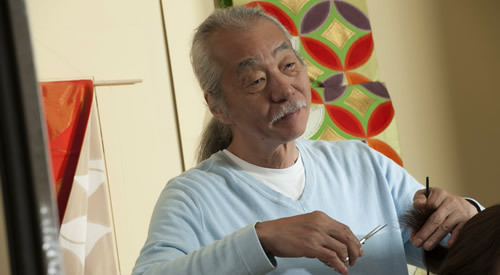 Shu Yamashita– Shu is a world-class talent with a warm, calm, intuitive presence. His understanding of shape and design, keen attention to detail, and passion for his art, has him quickly becoming one of our most sought after stylists. 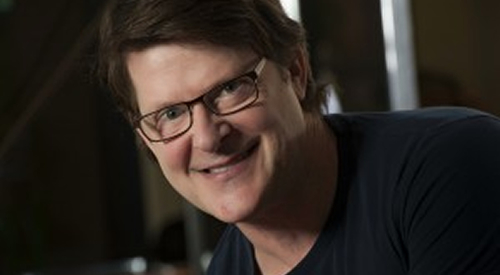 Steven Landry– Steven is a creative and engaging stylist who delights every client before him. His devoted clients trust his steady hand and vision implicitly. He possesses an extraordinary, classic talent and is always in demand. Ozuki Salon prides itself on finding the very best specialty products for all hair types. Here are some of our favorites. Spice Styling Series by Arimino. Spice Water Shining Straight – Eliminate unruly frizz and improve luster and manageability. Smooth out stray curls and create shine to dull, dry hair. Simply the best leave in blow-dry cream we have ever tried. Our number 1 selling product. Spice Wax – Three formulas for three looks. Soft Wax for flexible texture. Hard Wax for dramatic styles needing superior holding strength and Freeze Wax for extreme hold for extreme designs. Spice Form Wax – Simplify styling for texture and piecing with form wax. Create light movement to long, wavy hair and natural-looking waves to short hair. Spice Tube Gloss – Natural honey creates light, brilliant shine to damaged hair. Vitamin B6 locks in moisture with a strong glossy shield to protect hair. Spice Mist Volume Up – Giving volume, protective proteins create a micro-fine shield to prevent heat, damage and facilitate moisture retention for soft silky hair. Shower Curl Style – Light setting strength and natural shine create long lasting soft curls. Curl Style is best as a base when creating styles with a curling iron. Inphenom luxury system helps your hair regain the power to hold in moisture keeping your color more radiant and vibrant. A truly remarkable hair care line. Inphenom Shampoo – Nourish dry, damaged hair. This superior hydrating shampoo utilizes an essential amino acid to replenish moisture, leaving hair looking luminous and color more vibrant. Inphenom Treatment – Nourish dry, damaged hair. This superior hydrating treatment replenishes moisture while sealing the cuticle, leaving hair looking luminous and color more vibrant. Inphenom Mist – Moisturize dry, brittle hair. This lightweight mist instantly detangles for ease of styling while giving body and boosting shine. The lightest leave–in conditioner. Clay Esthe Shampoo – A healthy scalp equals healthy hair! Natural clay and deep sea minerals deeply cleanse build-up on hair and scalp. Excellent for thinning hair, the clay shampoo unclogs oil and residues preventing new hair growth from deep within the follicle. Clarifies scalp problems such as dandruff. Clay Esthe Pack Treatment – Natural clay removes dead skin and absorbs oil and residue from hair cuticles and scalp. Sea minerals stimulate new hair growth and conditions the hair to luxurious silky softness. 1025 Thomas Jefferson Street is a red brick office building at the bottom of Georgetown. Ozuki’s main entrance is on the back of the building on 30th street, close to the corner of 30th street and K street. We are on the ground floor and we have glass doors. There is metered parking on the surrounding streets, and parking garages on 30th Street and K Street. Please note that the time that you request may not be available. We will contact you to confirm your actual appointment details. All appointments must be confirmed. You may always feel free to call the salon on 202 342 7591. Please note that all bookings are subject to our Salon Policies. To ensure that your Stylist will be able to provide the best possible service, we ask you to be on time for your appointment. If you are more than 15 minutes late we, unfortunately, may be unable to complete the scheduled service. Ozuki Salon accepts Visa, Master Card, and cash. We respectfully request 24 hours advanced notice by telephone if you need to cancel or reschedule your appointment. Please call 202-342-7591 to cancel. Please note that we do not offer refunds on services rendered, however we will do everything in our power to correct any issues that may arise. If your cut, color or perm is not working for you, kindly contact us within 1 week of your visit.